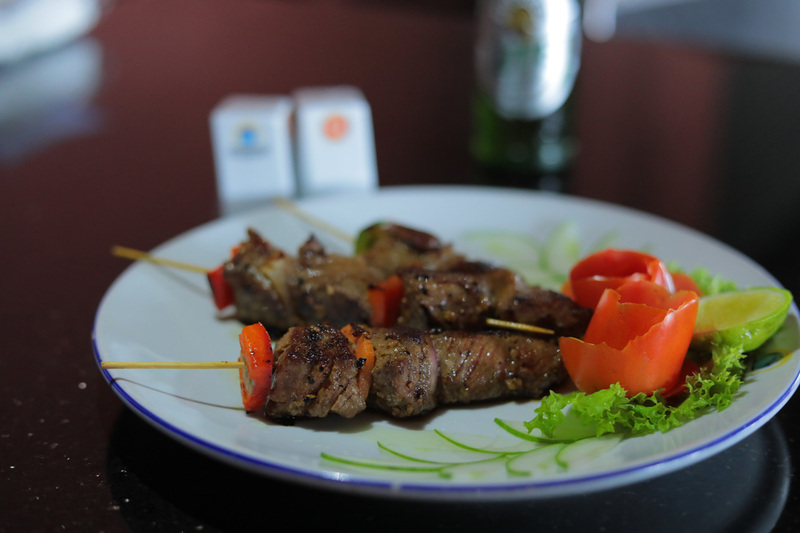 Tender marinated juicy beef cubes skewered with vegetables grilled to perfection. 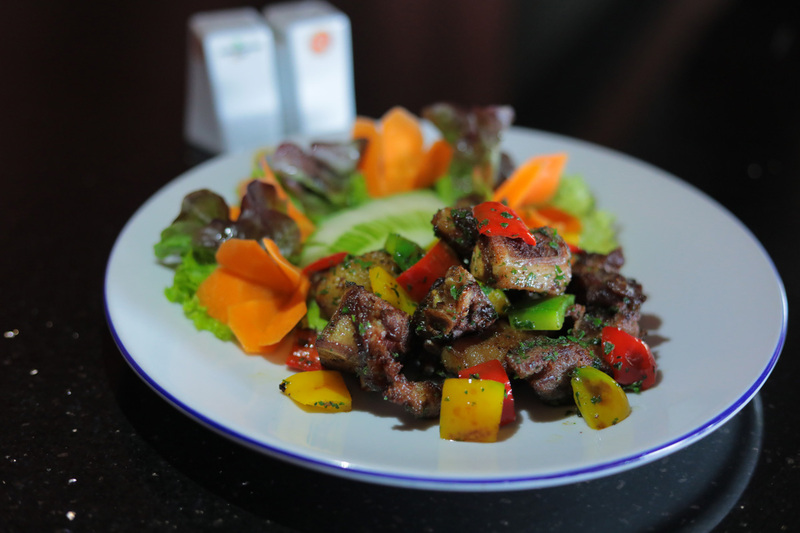 Ugandan tender roasted goat muchomo style tossed with onions & peppers. 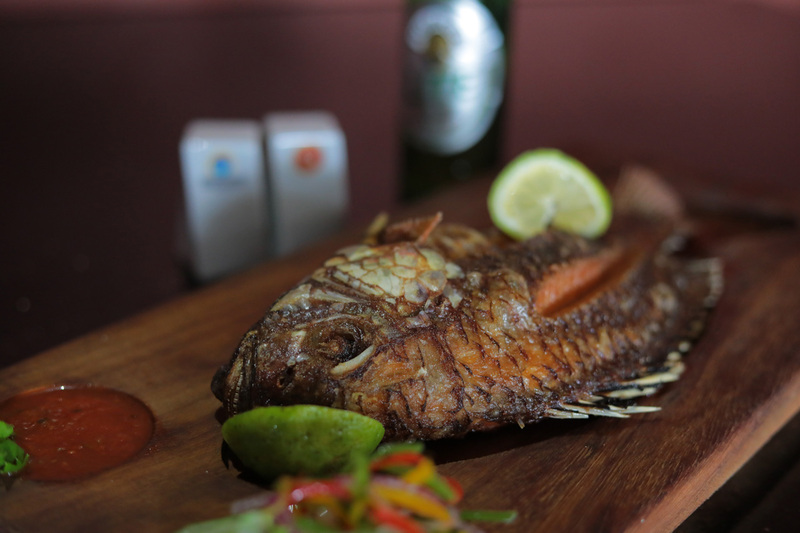 Deep fried fresh catch of the day from lake victoria served with tomato chili relish.